Joe Campos is the founder of Eagleclaw Football Club and The Eagleclaw Foundation and has trained and coached Eagleclaw players since 2009. He is from Madrid, Spain, where he learned the game, and played in Spain and Turkey. The Seattle soccer scene was not impressing Joe. In fact, it was frustrating him. So he decided to offer a different experience for players and families. You can connect with Eagleclaw FC on Twitter or Facebook. Joe also mentioned that they are very active on their website and he writes great stories about his experiences with the club. Visit Bounce Athletics online to search for products and take advantage of the discount they are offering 3four3 listeners and members. When you’re ready – email info@bounceathletics.com to start the order process and mention 3four3 to get 10% off your first order. Episode 102: Former Seattle Sounder Kyle Smith Shares His Perspective as a Player, Coach, and Father. What Is the Most Powerful Training Activity Known to Soccer? 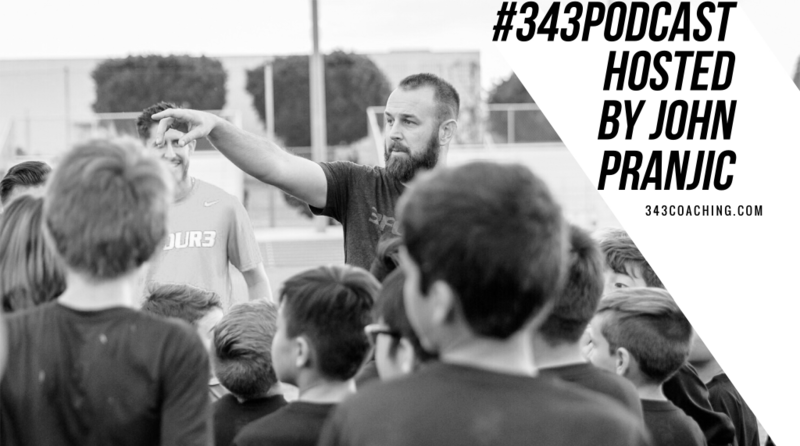 The post Episode 153: Here’s What Happens When You Build Your Own Club and Disrupt Your Local Soccer Market appeared first on 3four3.